The gap between first place and 36th is astounding, to say the least. The post South Africa’s national minimum wage vs the rest of the world appeared first on The South African. In an effort to redress the injustices of the past and promote widespread economic inclusion, the South African government has enacted the National Minimum Wage Bill into law, and Picodi.com’s Analysis Team did some digging to assess its value — based on basic household needs — vs 52 other countries. The nature of the research was founded on the need to assess whether households could, in fact, live off South Africa’s national minimum wage structure. At the moment, the minimum wage stands at R3 460. This means that, at the very least, workers who fill positions at the lower end of the job spectrum, should net the aforementioned amount on a monthly basis. “Even though this list is short and frugal, these products meet the nutritional needs of an adult and the prices are constantly monitored around the world.,” the researchers stated in the report. 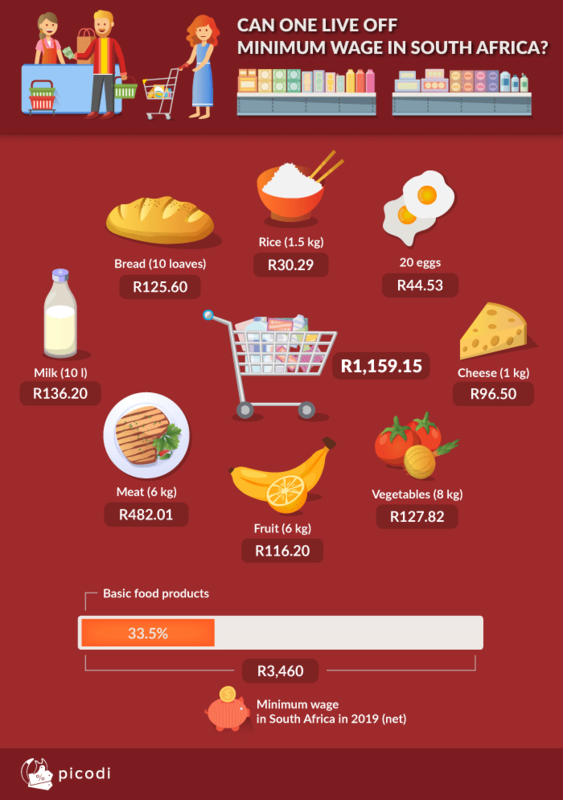 Subtract that from R3 460 and, on average, the household would remain with around R2 300 to make it through the month with costs such as electricity, transportation and educational necessities not included. How does this relate to the rest of the world? It is safe to say that one would rather accept South Africa’s wage structure, which ranks 36th out of 52, than places like Russia and India. The minimum wage structure in India currently stands at an estimated R1 111. It is unimaginable how a household can survive off this on a monthly basis. According to Picodi.com, Australia has the best minimum wage structure in the world. offering its citizens on the lower base of the pyramid an estimated R27 099 on average per month. It would explain why, according to CNBC, the country’s unemployment rate fell by two percentage points, from 5.6%, to 5.4% in April 2018. Here is a look at how the rest of the world ranks on its minimum wage structure — considering the cost of basic food — as compared to South Africa.